The Google Innovations Keynote this year included coverage of Google marketing tools specifically for small business owners. This includes building a free website, creating ads easily, using Google My Business (GMB) and free training (Grow with Google). Let’s start with the basics every small business needs – having a website. Since a number of small businesses still do not have a website, Google’s free site is a decent option to get something up and running very quickly. There is no charge for it but it is best to have a domain that represents your business, rather than the provided subdomain. The catch to the free website is that you first need a verified listing on Google My Business (GMB) before you can use the website builder. 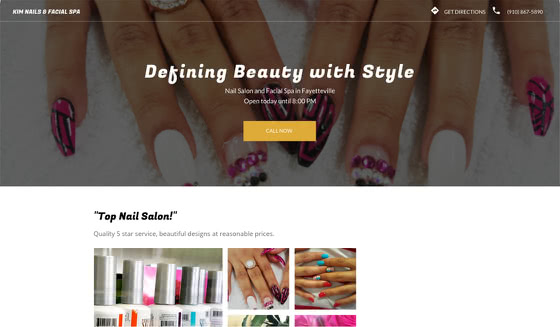 And the customization options are limited, but it is good for business owners short on time and technical skills who want to quickly have an online presence. Some businesses spend thousands of dollars with hundreds of campaigns on Google Ads (formerly known as Google AdWords). 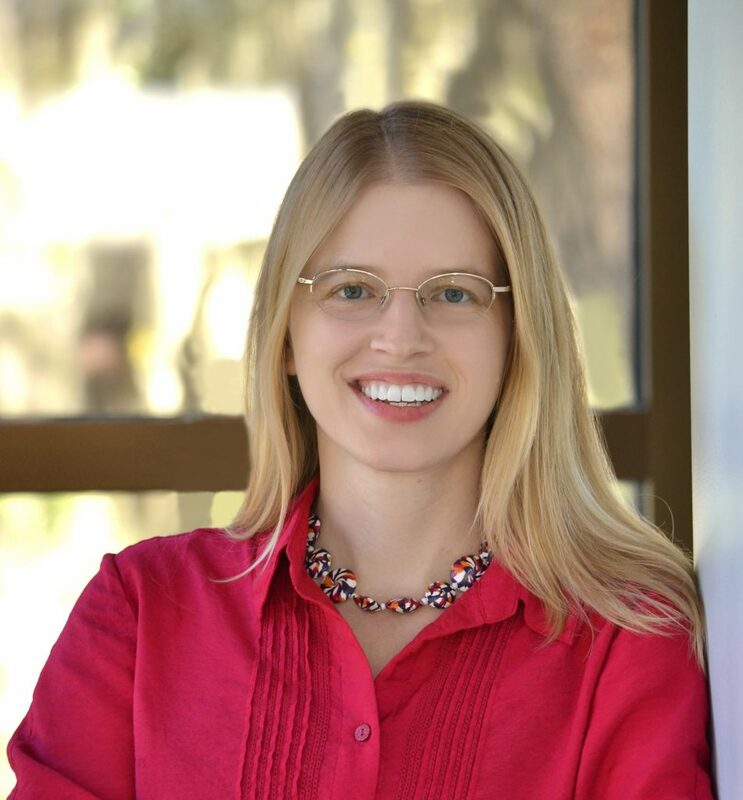 Unfortunately, most small business owners do not have the resources to manage anything complicated or expensive. Smart Campaigns make it easy to create ads very quickly in Google Ads. With fast results, even with a small budget, business owners know quickly if they are getting an ROI from their ad budget. What makes the campaign “smart” is that business owners enter their basic goals and performance is measured based on whether those goals are being met. With machine learning, the bid process is automated. Google recognizes the goals of business owners are going to vary. Some want to drive traffic to their websites because they are an e-commerce business, others want to encourage phone calls and those with a physical location want people to go to their stores. Google Ads can help business owners achieve all of those goals. After determining the goals of a Google Ad campaign, the next step is ad creation. 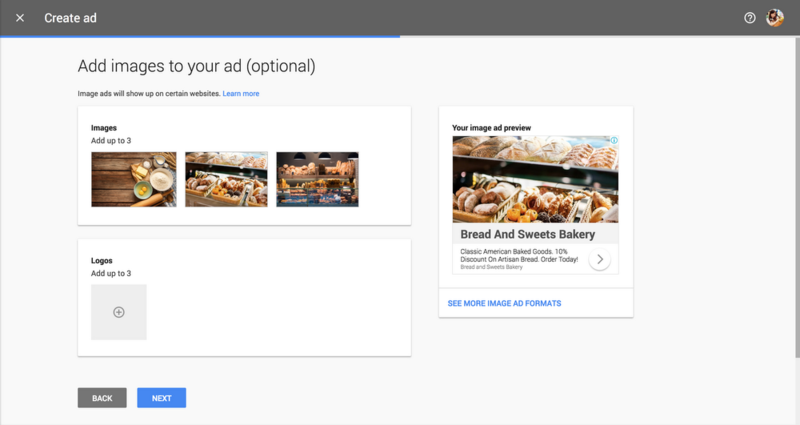 When creating an ad, the image picker (coming later this year) makes it easy for small businesses to select, or add, three images and three logos for Google to mix and match. Google Ads optimizes for the best performing combination, which makes it easy for business owners without any design skills. 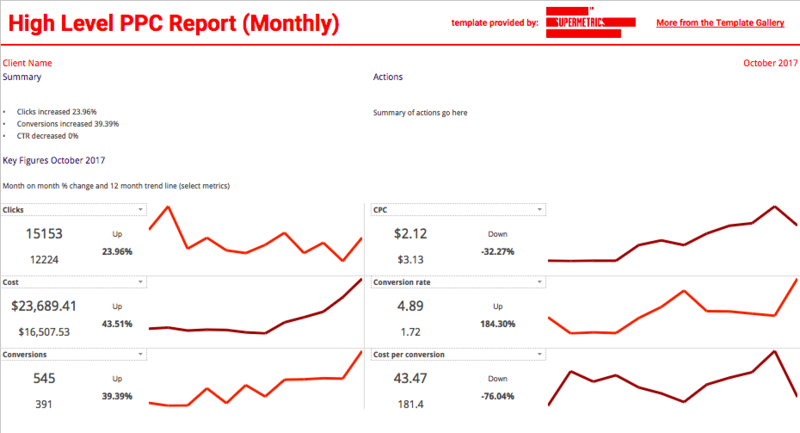 If you decide to run ads with Google and want to see their performance without extra work, you can use Supermetrics reporting templates. Every template is easy to use and customize which saves time on reporting and helps analyze campaign results smarter and faster. Another tool for small business owners is Google My Business (GMB). This is not to be confused with Google Plus. When Google Plus launched in 2011, it was presented as a social network but did not take off, probably because there is another “slightly” bigger one that has taken over that market – for now anyway. (And yes, I am referring to Facebook). GMB is something all businesses need to consider, especially when they have a physical presence, to be seen on Google Search and Google Maps. Before creating a GMB page from scratch, go to GYBO.com and search for your business to see if there is one already there. From GYBO.com, you will see if you have a listing that needs updating and if not, how you can get started to add your business. Google has made GMB more appealing than a basic directory listing with additional features to help you get noticed. For example, brands that want to be available to customers in multiple capacities have the option to use messaging through their GMB page. For those who would prefer to not get messages constantly on their phones, they can instead sign up for Google Allo, a mobile messaging app. Before you opt-in to messaging either through a phone or Google Allo, make sure this is a task that you can take on. A common feature with many small business owners is limited staff. If you want to accept messages from potential customers, you have to be available to respond quickly which today’s consumers expect. You can also post messages that are eligible to show on Google.com for brand name searches as well as on plus.google.com. 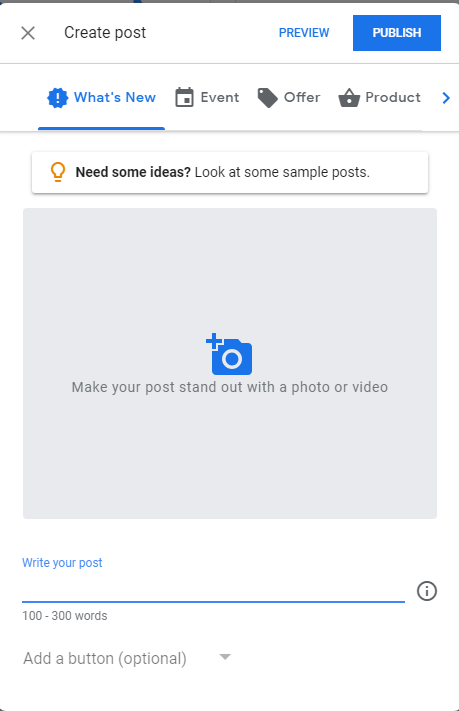 From your GMB dashboard, create a new post similar to what you might post on other social channels. This may include details for an upcoming event or a special offer for a product. You can view performance of these posts in your GBM insights. Like all marketing channels, you need to view performance of everything you do. There is no point to an online presence on a channel if you do not know what it does for you, whether raising awareness or driving people to the website. 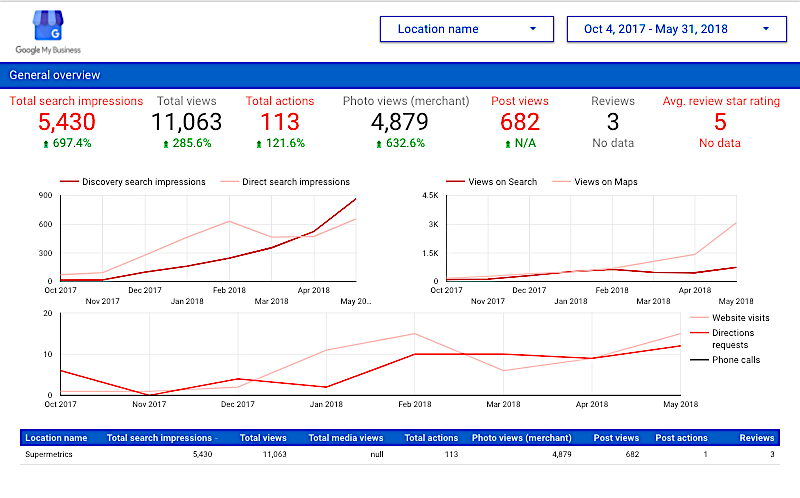 The GMB connector released by Supermetrics in June of this year helps manage that reporting. Some great options so far, but for business owners without a knowledge of digital marketing, how does one even get started? Small business owners probably have a very low or no budget for training, and limited time to learn new skills. When it comes to running a business day-to-day, training is not a top priority. The goal of Grow with Google is to make training on Google products and other digital marketing topics accessible to everyone. Business owners on the go can take five minute business and marketing skill lessons with Primer. Launched in beta in 2014, it now has numerous lessons with subjects about running a business. The aim of Primer is to make it entertaining – and quick – with use of a fictional character in the lessons. There are more involved options for people looking to scale a startup, learn new coding skills, grow a business, find a job, or help students (for those in education). Considering an ad campaign? Decide what your goal is and find some great images to represent your business. That is all you need for a Smart Campaign. Have a physical location? Search for an existing GMB page for your business. If there is not one, follow the steps to create a free page. Need to enhance your skills? Check out Grow with Google for short, five minute lessons, and longer courses. If you want to watch the full keynote to see what else was covered, you can view that online at the Google Ad Blog.